Kim Ogg proposes something bold for Harris County, issue a ticket and enforce community service, instead of arresting and filling the jails with people charged with possession of small amounts of marijuana. Ogg is the Democratic candidate for Harris County District Attorney, and this proposal is a new direction for any candidate to go in regarding marijuana law. It makes sense, right? With thousands of people arrested for possession of small amounts of marijuana in Houston every year, this would reduce the overcrowding in the jails, making room for the more serious offenders. Not to mention, it would stop criminalizing a crime that is only malum prohibidum (only because of a prohibition), not malum in se (wrong in of itself). Ogg also noted that in a time when budgets for the County are tight and the Economy is shaky, it would save as much as 10 million dollars a year to be used on other things. Is it really an intelligent use of our resources to send it locking up people for doing something in this state that someone and other states can now do with impunity (see Colorado and Washington and recreational use legalization)? Ogg thinks not. Now for some statistics: in 2013, more than 12,000 people in Harris County were charged in with marijuana possession of less than 4 ounces. On average these “criminals” in possession of the demon weed were put behind bars for an average of five days. The cost to taxpayers? $4.4 million a year. Kim Ogg’s plan (if she is elected this November) would be to divert those suspected of misdemeanor possession into alternative punishments that would include a citation, being required to appear in court (like a traffic ticket), and being given two days of community service work, like cleaning up litter. The icing on the cake? If successfully completed, offenders would not have a conviction on their record. She said the entire workforce could be used for “Clean and Green,” a program in which volunteers clean up garbage in the area’s bayous. I am a card carrying libertarian, so I try not to get caught up in the political fray (mainly because I think both sides have fatal flaws to their positions). BUT, this is very promising, and I sincerely hope that Ogg is elected this November. It’s about time someone made marijuana law more reasonable in Houston. 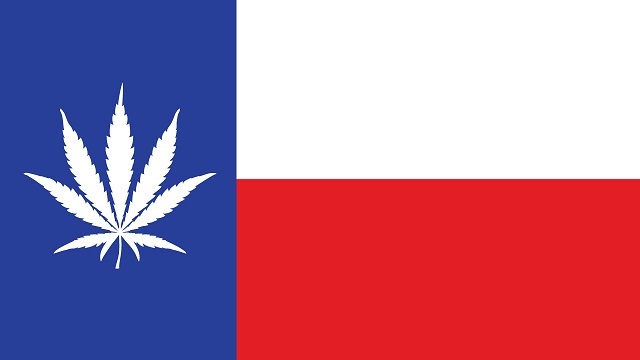 Finally, a Texas candidate talking reasonably about Marijuana reform in Texas.